Thallus squamulose. Squamules to 5 mm diam., scattered or crowded, glaucous to pale grey or greenish grey, composed of one to several broadly rounded shell- or ear-like lobes to 1.7 mm wide, upper surface concentrically ridged and sometimes weakly pruinose, margins sharply raised, 50-100 µm wide, lower surface not corticate, whitish, slightly felted, broadly attached by numerous hyphae. 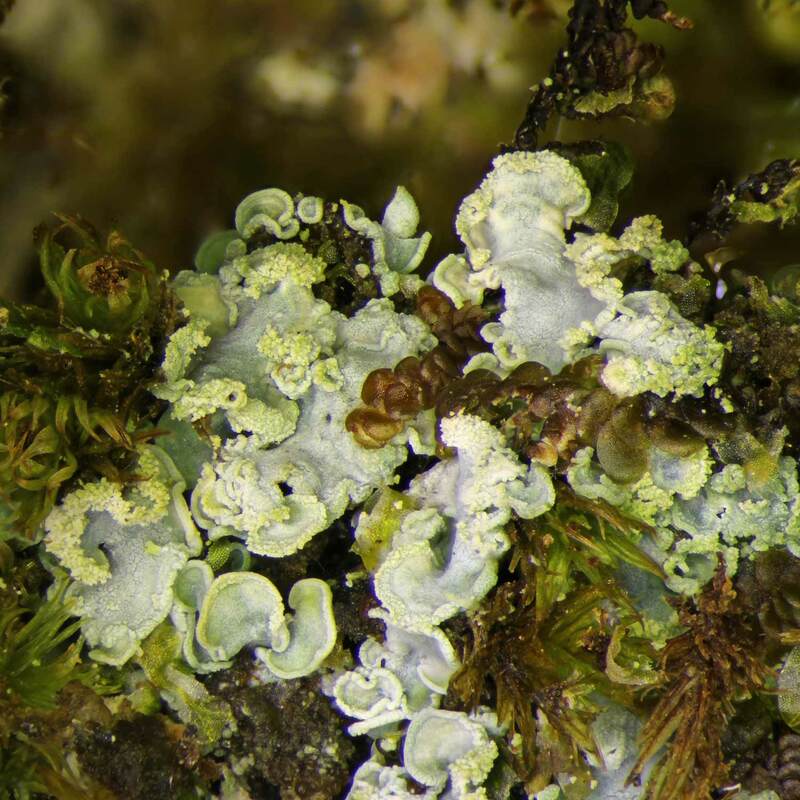 Soralia often present on lobe surface and margins, green or concolorous with the lobes. Soredia 40-80 μm diam. Photobiont Trebouxia. 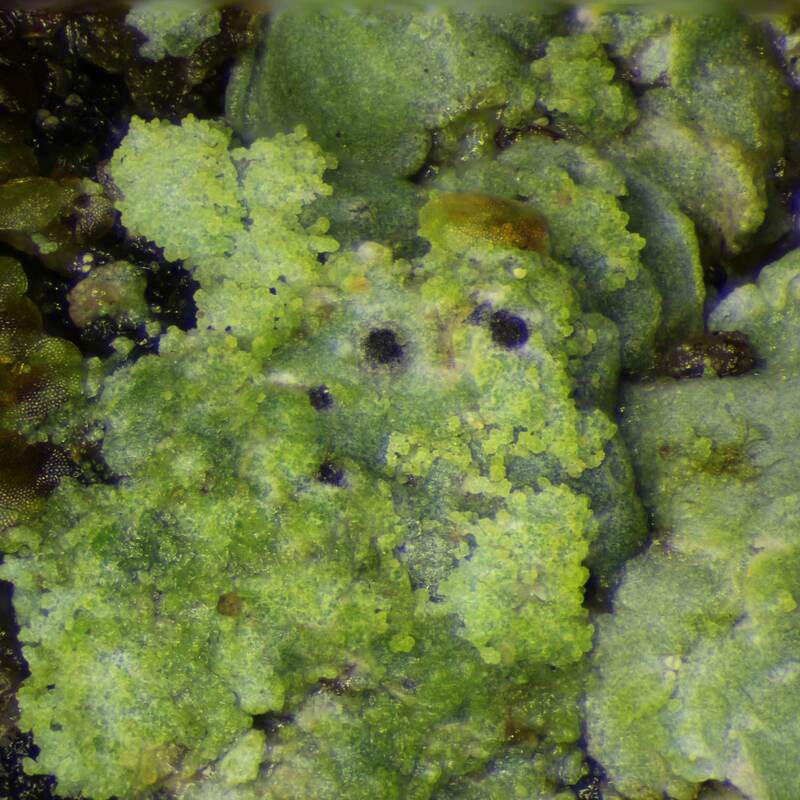 Teleomorph: ascomata perithecia, (160-) 200-300 (-350) x (150-) 170-250 (-330) µm diam., embedded in the thallus, strongly projecting on the underside, usually solitary, black, matt, with a distinct apical ostiole, globose at the base, becoming conical at the apex. Peridium 30-45(-55) µm thick, composed of 10-15 layers of fairly elongated angular cells, the outer cells with densely pigmented walls, the inner layers ± colourless. Perithecial contents I+ red-brown. Interascal tissue absent, periphyses well developed, septate, mostly branched. Asci 85-95 (-115) x (15-) 17-23 µm, clavate, short-stalked, thin-walled, ascus apex lacking any apparatus, but clearly showing the 2-layered nature of the walls, not blueing in iodine, 8-spored. 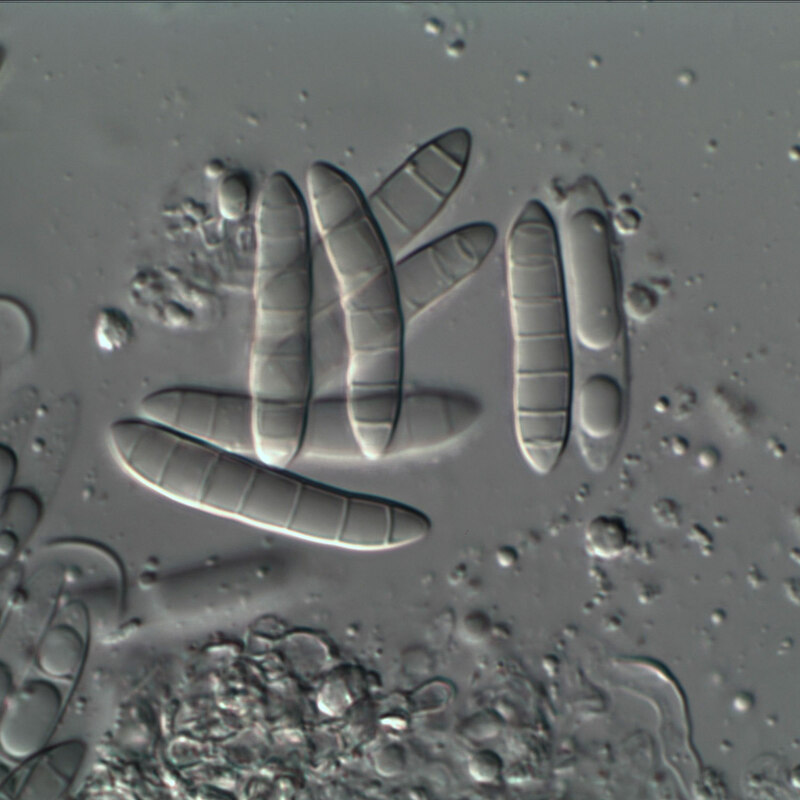 Ascospores 25-35 (-45) x 6-9 µm, elongate-ellipsoidal, the ends acute, (5- to) 7-septate, hyaline, becoming brown with age (usually after discharge), initially not constricted at the septa but becoming so with age, smooth-walled, tending to remain clustered together after discharge.